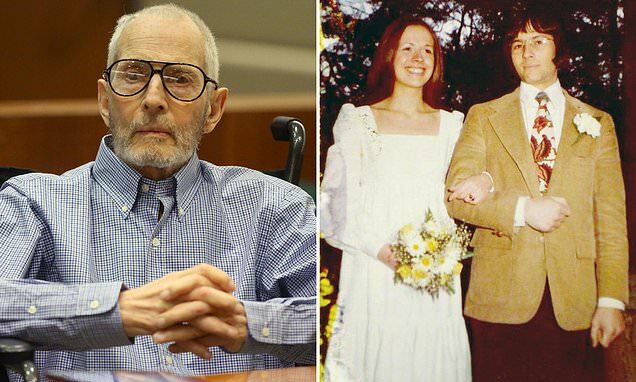 Robert Durst is being sued for the wrongful death of his wife Kathleen 'Kathie' Durst, 27 years after she vanished without a trace. In the complaint, which was filed by Carol Bamonte if her role as administrator of her late sister's estate, Durst is accused of not only killing his first wife but then working with his family to cover up the murder. It is also alleged that Seymour told his son to 'take care of the problem' just prior to Kathie's death when she she threatened to expose what she had alleged were illegal practices being carried out by the multibillion-dollar Durst Organization. The filing also cites multiple times that Durst has allegedly admitted to the murder, though he has never been convicted or even charged with her death. That is due in large part to the fact that Kathie's body has never been discovered, and she was only declared dead in March 2017, which was 25 years after she went missing.